Play On: San Antonio Spurs -13. There is NO Doubt the 76ers are the worst team in the NBA and at times when I have watched them, despite the youth and all other intangibles involved, it looks like a halfhearted effort on the floor, especially when they are flat out getting throttled. 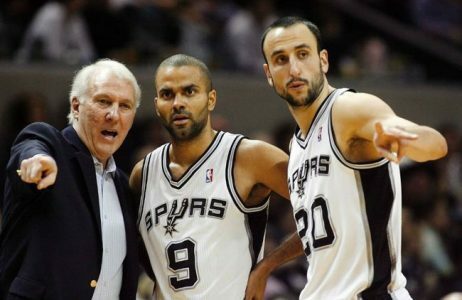 Enter the returning world champ San Antonio Spurs into the arena tonight, and this is a total mis-match and despite the big line oddsmakers put on it, I have no fear laying it. The one question you have to ask is how motivated any team is against the Sixers, but when considering this option, also consider the head coach of the opposing team, and no doubt San Antonio’s coaching staff does not take any game lightly, and any game won on the road is important in the NBA, and an opportunity missed if you do not play well. The Sixers are allowing 107 ppg their last 5 games and scoring 94, thus the results have not in their favor. In their last 5 games the Spurs have scored 109 ppg and allowed just 94. The Spurs are off a 22 point win at Boston Sunday and I expect the same type of final result tonight in Philly for the Spurs.